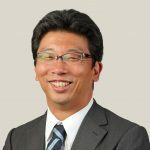 Mr. Matsunuma is qualified to represent parties in court in IP infringement litigation. He specializes in mechanical engineering and civil engineering. He conducted research on fatigue crack growth properties of austenite stainless steel under a strong magnetic field and at an ultra-low temperature.